CORPUS CHRISTI, Texas – A total of 19 people are charged in a six-count indictment, some of whom are alleged members of the Texas “Mexikan” Mafia (TMM) and charged with conspiring to violate the Racketeer Influence Corrupt Organization (RICO) statute, announced U.S. Attorney Kenneth Magidson. A federal grand jury in Corpus Christi returned the indictment Aug. 24, 2016. It was unsealed as each defendant was taken into custody. Those arrested today include Corpus Christi residents Rogelio Ramirez, 33, Pedro Gonzales, 41, Jose Mireles, 33, and Gilberto Garcia, 36; Jose Jesus Toledo, 41, and Abelardo Pena, 48, both of Victoria; Sinton residents Roman Jose Zapata II, 33, and Doroteo Gonzales III, 36; Gregory resident Juan Felipe Bazan, 45; Ruben Saenz, 37, Eusebio Castillo, 36, and Bruce Lee Cisneros, 40, of Port Lavaca, Taft and Robstown, respectively; Ingelside resident April Diane Petruska, 34; and Syliva Rodriguez Walton, 53, and Daisy Cruz Ortiz, 27, both of Aransas Pass. Brownsville resident Jorge Luis Gracia, 36, was also taken into custody today in Beaumont. David Joe Maseda Jr., 37, of Houston was arrested yesterday. David Gonzales, 35, of Aransas Pass, was already in custody on unrelated charges. Authorities also conducted searches at a variety of these locations, including Bazan’s Gregory residence among others. With the exception of Maseda and Gracia, who are expected to make initial appearances this afternoon in Houston and Beaumont, respectively, all are expected in Corpus Christi federal court at 2:00 p.m. before U.S. Magistrate Judge B. Janice Ellington. 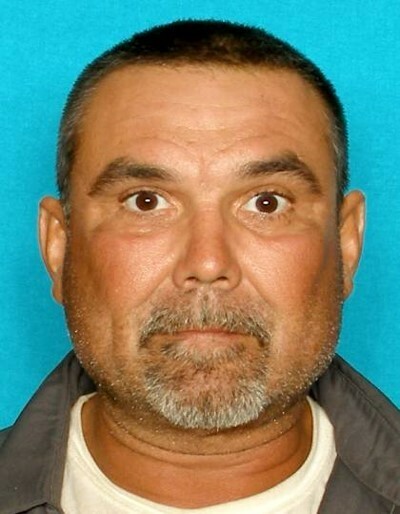 The last defendant - Robert Anthony Trevino, 51, of Victoria - is also charged but not in custody. He is considered a fugitive and a warrant remains outstanding for his arrest. Anyone with information about his whereabouts is asked to contact Crime Stoppers at 713-222-TIPS or the Houston office of the FBI at 713-693-5000. Crime Stoppers of Houston is offering up to $5000 for information that leads to an arrest. All but Walton, Petruska, Ortiz, and Gonzales III are charged as being associated with the TMM, an alleged criminal enterprise, from Nov. 1, 2013, through May 30, 2014. The indictment alleges the TMM was created in the Texas prison system in 1984. The TMM started as a group of inmates trying to become aware of their cultural heritage. As it grew, the TMM rapidly moved away from its innocent roots to become involved in extortion, narcotic trafficking and murder, both inside and outside of the Texas prison system, according to the indictment. Members of the TMM are referred to as “carnales,” or “merecidos.” The indictment details how TMM members are governed by a strict code of conduct that is enforceable by serious bodily injury or death. Every member must be willing to lose his life and take a life whenever called upon. The primary source of income of the TMM allegedly comes from collection of “the dime,” collected from members, prospective members and sympathizers. TMM members and prospective members allegedly often earn their income by threatening individuals with harm if the individuals do not pay the TMM member for protection from other threats. The indictment alleges TMM members and prospective members earn their income by extorting others who traffic in illegal drugs. TMM members, prospective member, and sympathizers also earn their income by trafficking in illegal drugs, according to the charges. The illegal drugs are allegedly distributed by the enterprise, which includes heroin, methamphetamine and cocaine. If convicted of the RICO conspiracy, these defendants face a up to 20 years in federal prison and a possible $250,000 fine. The remaining counts allege specific drug and firearms charges. Maseda, Walton, Petruska and Ortiz are charged with conspiracy to possess with intent to distribute cocaine base (crack cocaine), for which they face a minimum of five and up to 40 years in prison and a maximum $5 million fine. Maseda and Gracia are charged with conspiring to possess with intent to distribute cocaine, while Zapata and Gonzales III allegedly conspired to possess cocaine and methamphetamine with the intent to distribute. They all face a maximum of 20 years and a possible $1 million fine. The final two counts charge Cisneros with possessing heroin and cocaine with intent to distribute, which also carries the same maximum of 20-year-prison term, and for being a felon in possession of a firearm for which he faces another 10 years imprisonment. Multiple law enforcement agencies conducted the investigation and executed the arrests – FBI; Bureau of Alcohol, Tobacco, Firearms and Explosives; Drug Enforcement Administration; U.S. Marshals Service; Texas Department of Public Safety; Customs and Border Protection; Victoria County Sheriff’s Office; and police departments in Corpus Christi, Port of Corpus Christi, Victoria, Portland, Aransas Pass and Ingleside. Assistant U.S. Attorney Michael Hess is prosecuting the case.